Discussion in 'Assets and Asset Store' started by DavidMiranda, Jan 30, 2014. Fog Volume 3.2 is out on the asset store. To avoid the long waits of the asset store, you can join the group and grab the latest version from my site. To cover maintenance and management costs, you get your access with a 90% discount coupon. nxrighthere, Lex4art, Alverik and 4 others like this. Hi I just purchased this as I assumed it worked on mobile as you mentioned in the description it works for ios. It appears to work for me on pc but when I change to any mobile platform ie android or ios the fog disappears. Am I doing anything wrong or is there a bug ? Also as a suggestion for extra features is there any reason you couldn't make any mesh shape volumetric not just cubes ? It may disappear in editor viewport, it also happens on PC sometimes. I still don't know why. But its always shown in game. About shapes, as described in the documentation, it only models box shapes, since the fog is not based on any geometry, but on an algorithm. It's time now for debug and improvement, so any comments are welcome. Another update with some more options is waiting for approval. It is heavy in terms of performance? How would be the best way to implement over a large terrain area? I guess doing that follow the player and only having a small portion of fog around him. As reference, I show you two comparison images. Hi I found out what the problem was. For some reason when switching from desktop to mobile platform on PC it changes the near clip plane for the camera to a very small value. I got this working on Android by simply increasing this value. You might want to look into this or perhaps at least ensure that the near clip plane camera in your example isn't too small so will show up on most mobile devices as default. Humm, dunno. I have tested switching from one platform to another and works fine all the time. I have made my first android build ever, and yes, it works almost fine. I'll keep testing. 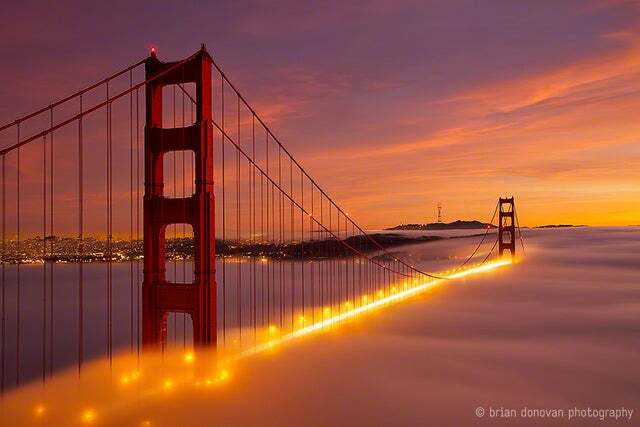 It would be very nice and usseful if the fog gradually begins or ends, and not ending in a wall of a rectangle. About the other error. Sounds like unity has a keyword limit. I didn't know that. Could you ask support about that? I think we should use things according to its original purpose. This is an existing method and it works as expected. If you want to compare, UDK has this feature. The idea is to place it in the world, without moving it. Also, its a box/rectangle and it has an ending, what you call wall. That's how it works. Im very glad to See "Finaly" some more works yours Published. Thank you also to make this Asset Affordable. Still i miss some very important features in this asset that are basically a Most important "Buy now" Game Changer . 1.1.1.2) Triplanar Projected / Project in Both Xyz Planes at same time . 1.1.2.1) True Volume 3D textures That Control the Fog Volume . 3) The volumetric or projected Densities should also inherit colors from textures. This is quite like a Very Most important features Set Out of this project. Do you think you can make it for the next Major Revision on this ? Right After you are able to implement All those "most needed" features i mention above. .. And you can actually win more money if you Top up / On those More Professional Needed Features. IM Especially looking forward the possible evolution in all those in this Unique like no other unity extension. Thanks for being here and making the Difference in Professional Quality Achievements out of unity, therefore pushing unity to another bounds. Your Research is always extremely welcome. That requires a completely different method. Im using a ray/cube intersection algorithm for this. And that's what it does, it models a cube. Well, I have never worked with 3D textures, so I'll have to learn about that. Really interesting indeed. The latest version fixed it, thanks! Really nice fog! I've been playing with this for a little while now and have begun testing on iPhone. I have noticed a drop of about 10FPS on my iPhone 5. So from about 30FPS to 20FPS on a dense jungle scene. I'm assuming this is solely down to overdraw. I was wondering if there is the possibility of any further shader optimisations as I really like the effect. Thanks for the info! Switching to Deferred Rendering didn't work but I realized that when I increase the Near Clipping Plane of my Camera the problem is almost gone. When using a Unity Projector in the scene it doubles the drawcalls since projectors draw every mesh they touch twice. Does this asset also increase drawcalls in this way? Yeah, the effect reads from _CameraDepthTexture, so Clipping planes have an important role here. The fog can be set to something dark, yes. I doesn't increase drawcalls, just it's own. I thought this was for Unity Free as well? Yeah, I noticed it's not working with the free version. I updated the information 10 days ago, but something went wrong and its not shown yet. Im sorry for that. I am really liking the idea of your shader as it is exactly what I am looking for. However I saw in an earlier post about the volume not showing in the editor window, have you figured out a way around this issue yet? Any information would be amazing! Well, that's something related with unity internal stuff when running in Forward mode. I'll keep working on the effect, I want to add some more options. Hopefully I find what's going on with that at some point. Does it only work on a cube or can I use some other shape like a sphere? How expensive is it on mobile? I see you tried, what's the performance drop? Hi. It only works on a cube. I have not tested deeply how expensive it is on mobile. The shader itself is quite complex, and since it is a transparent shader, it wont be cheap. Because of I'd like to use in my mobile project, you plan to optimize for mobile devices? Hey David, we have run into a large issue with this shader and our current project. What we are trying to do here is to put fire or light sources in the fog and have it produce a nice halo glow as you would see in real life.. Unfortunately this seems impossible with the fog shader it's current state In the words of our environmental artsts 'This fog just eats them up and are barely noticeable'. Hi. It only works on a cube. Do you have plans to allow us to use this on a sphere? Hi. Im not sure if I fully understand what do you need. Are you trying to emulate light glow with a translucent material? In that case, you will have the same problem with every translcuent shader. I can't do anything with that, since that's a universal problem. Something about I can't do anything. that same technique will work in Unity just like it does in UDK? What about allowing multiple lightsources for the inscattering? In theory, infinite As much as your hardware could compute. I was under the impression that we could only have 1 directional lightsource for inscattering with your plugin(http://i.imgur.com/5rfZ4bq.jpg ) . How would we go about adding additional pointlight sources? I think we should talk about this outside the forum . Hey david, i've seen your work on your blog, including character shading and work with udk and it's extremely impressive (If you've seen shaderforge in the assets section, its very close to the udk material editor now and your ocean and other work has inspired me to recreate a lot of udk stuff now, you might appreciate it for shader work) and your shift to Unity is interesting, looking forward to new things by you - in the case of this asset I might try recreate such an effect myself with raymarching using material I own as guidance, but if I give in, this could be great. I really like your shader as it produces a great effect and your other work is really remarkable as well. I'm running into a bit of an issue with the fog volume and I was wondering if you could help me out with it. Basically, I am able to see the edges of the volume even though they are far away. I would just scale the volume up to where you can't see the edges, but there is playable space up top as well and I didn't want that to have as thick of a fog effect. I'm attaching a screenshot of the issue below. I'm not sure if it is because I made the fog volume really long and large or if it might have something to do with the Draw Order, which I admit I don't fully understand at the moment, but I did play with it and change it to different numbers for my different volumes (1-3). I wanted to reach out to you to see if this might be an easy fix for something I may be misunderstanding. If not, I will try and work around it. 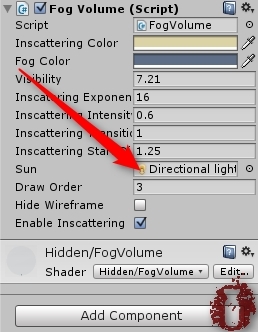 Also wanted to mention, for those having difficulty not being able to see the fog volume in the editor or scene in Unity without running the game I found a workaround. If you switch your viewport view to RENDER PATHS from say TEXTURED you should be able to at least see the volume and where it is in 3D space. It doesn't show or give you the full effect, but it can at least help you to place the volume where you want it without having to keep running the game to see where it is at. humm... I don't think this is the correct way to use the volume, Im sorry. It's more suited for a more "global" situation. No plan to optimize for mobile? I have upgrading plans (more features), but optimization doesn't sound possible right now. Maybe at the cost of visual quality, who knows. I will review it as soon as Im done with some other stuff.